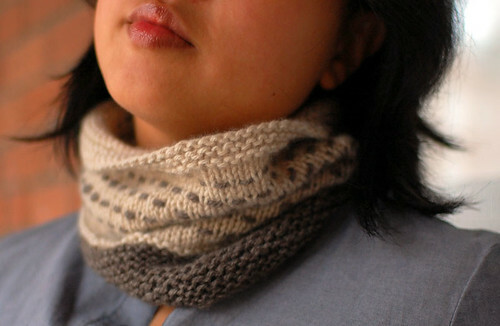 An easy to knit, cozy cowl with an intriguing woven stitch. Little pops of colour perk up a stockinette stitch background. 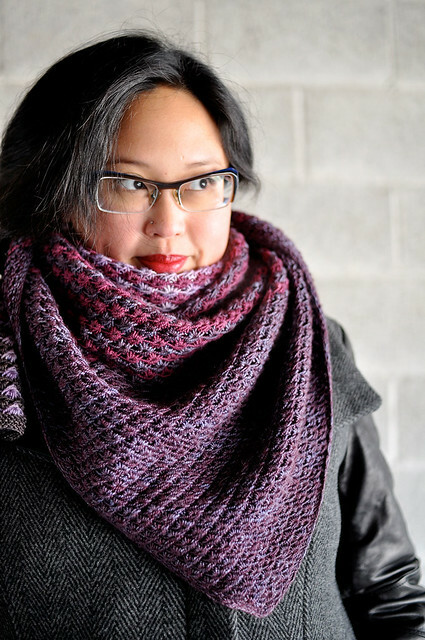 The Attabi Cowl is knit with small amounts of soft, luxurious worsted weight yarn. Super quick to knit up and perfect for solid or handdyed yarns.